Popular East Hartford lightweight Joseph “Chip” Perez (5-0, 2 KOs) puts his undefeated record on the line Saturday night at home against unbeaten Esteban Nichol (2-0, 1 KO) on “The Willie Pep Boxing Classic” card, presented by Hard Hittin’ Promotions (“HHP”), at the Connecticut Convention Center in Hartford. 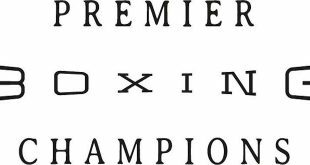 In a crossroads fight of significant interest, local heavyweight favorite Tony “TNT” Grano (17-2-1, 13 KOs), the 2005 U.S. Nationals amateur champion, meets veteran “Diamond” Dominque Alexander (20-10-1, 10 KOs) in the eight-round main event. Perez, who works for the Connecticut Department of Children & Family, was born and raised in Holyoke (MA). 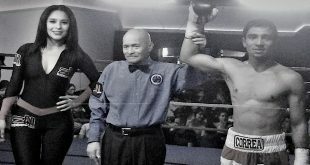 The 24-year-old former New England Golden Gloves champion recently has had, unfortunately, several scheduled fights fall through. His last action was back in November, a first-round knockout of Ronnie Peterson at Mohegan Sun. 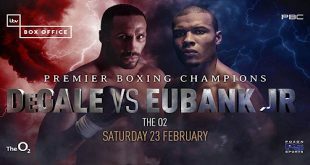 Saturday night he’s matched against Nichol in a four-round bout. “I don’t know anything about my opponent other than he’s 2-0 and a former Golden Gloves champ from Colorado,” Perez said. “I trust my manager, Bret Hallenbeck, and I’m always ready to fight. My style depends on my opponent. I adjust to what my he does in the ring. 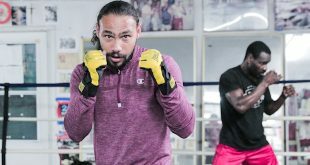 Perez’ chief second is former world title contender “Iceman” John Scully, who trains numerous boxers at Lion’s Den Connecticut in Middletown. “He’s has been very exciting and dynamic so far in each of his five fights,” Scully commented. Bantamweight Danny Aquino (5-1, 1 KO), fighting out of Meriden (CT), faces James Owens (4-2, 2 KOs) in the six-round co-feature. The undercard showcases some of the best young fighters in New England, including Norwalk (CT) veteran Shakha Moore (10-15-3, 2 KOs) vs. welterweight Noel Garcia (2-8, 1 KO), and promising New Haven featherweight and former amateur standout, Luis Rosa (5-0, 2 KOs) vs. Tommy Attencio (4-6, 2 KOs), both in six-round bouts . Also scheduled to fight on the is Middletown (CT) favorite, light heavyweight Doug Cartelli (1-0), against Jaquan Williams in his pro debut, plus undefeated Philadelphia super featherweight Frank Trader (7-0, 2 KOs) versus John Willoughby (2-6, 1 KO). All fights and fighters are subject to change. Tickets are priced at $100.00 (ringside), $80.00 (preferred seating), $60.00 (reserved) and $40.00 (general admission) and are available to purchase by calling 860.402.4838 or The Lion’s Den at 860.613.2394.